One of the Last Three Homes Left at Tramonto! Located in the highly sought after Renaissance community on a prime lot that backs to open area-our thoughtfully designed home has everything youneed on the main floor with wider hallways and doors. The main floor study offer endless opportunities from scrapbooking to reading in your personal library. Also featured in this open Cornerstone floorplan- Main Floor Master, Master Bathroom and Main Floor Laundry Room plus a Finished Lower Level with a large Recreation Room. Leave your snow shovels and lawn mowers behind, you will not need them at your new home! 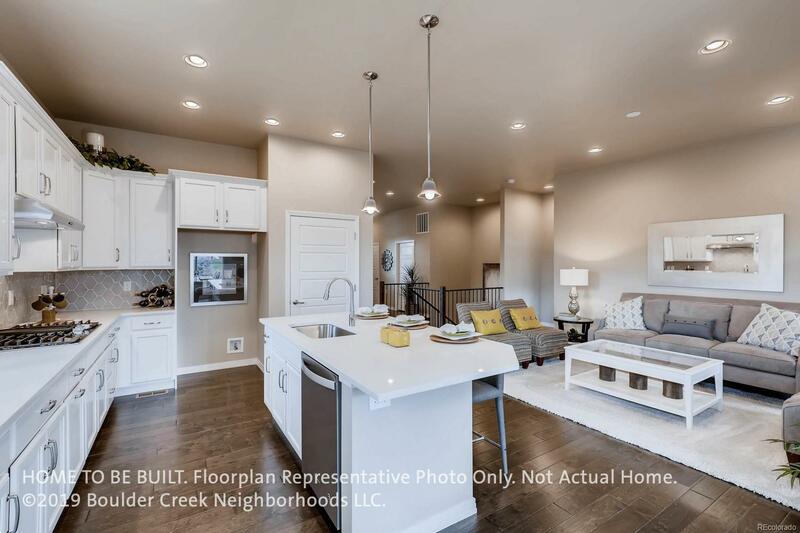 Built by Boulder Creek Neighborhoods. Pictures of Model. Move In June 2019.